Mortgage rates recently hit an all time low & if you haven't already refinanced your mortgage, now might be the time to do so. We have found a new mortgage resource that is very professional, timely, and offers competitive rates. If you would like a referral, please feel free to contact us. Discusses the impact of proposed regulation for the financial services profession in Financial Planning Magazine.Click Here to read the full article we are featured in. Follow this link, to read Sandy's feature in this month's Financial Planning Magazine. The print edition of the article Opportunistic Retirement Investing has pictures from the photo shoot the magazine did of Sandy at our office. 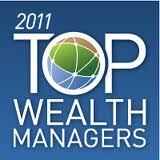 401k, 403b, & 457 maximum employee contributions increase to $17,000 per year. The catch up contribution for those age 50 and above remains at $5,500 per year. IRA contributions remain unchanged at $5,000 plus $1,000 catch up per year for those age 50 and above. Adjusted Gross Income (AGI) phase outs increase for those that can deduct IRA contributions and still participate in a qualified retirement plan (QRP). All Fliers (except Married filing Separately) that don't participate in a QRP can deduct IRA contributions from their taxes regardless of AGI. Those participating in a QRP can only deduct IRA contributions if AGI is under $58,000 for Single Filers and $92,000 for Married Filing Joint. Partial deductions are allowed for fliers with AGI between $58,000-68,000(Single) and $92,000-110,000 (MFJ). For an IRA contributor who is not covered by a QRP but his or her spouse is, the deduction is phased out between $173,000-183,000 (MFJ). Remember if you make a deductible IRA contribution, always keep track of your basis by filing a 8606 with your tax return. Many of us today enjoy the convenience of managing our finances via the world wide web. I personally enjoy the ease of record keeping, bill pay, and lack of trips to the bank that online banking, and the like, has brought. However, every benefit has it's cost. In the case of online account maintenance, the biggest potential cost is identity & monetary theft from hackers. One of the greatest protections from this risk is choosing a password that is difficult for a hacker to guess. Mashable Tech published a good article on the top 25 most vulnerable passwords of 2011 as well as tips on choosing a secure one. Click on this link to read the full article.